Make an informed and positive transition to the new scheme. Three critical considerations to ensure your financial viability include Scenario Building, Unit Costing and Forecasting your Cash Flow. With Calxa, you can simplify business processes and provide accurate reports, enabling you to make better decisions for your organisation. 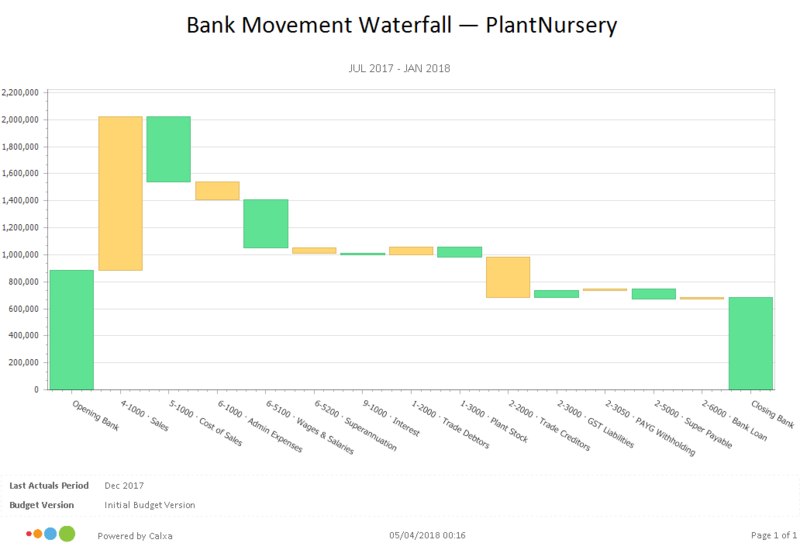 With Calxa you can build budgets to model different activity levels and then quickly see the cash flow effect of each scenario. This enables you to plan effectively and make fully informed decisions. Costing your activities is a crucial part of staying sustainable. Understand the costs and revenue of each activity so you know which ones it makes sense to continue to deliver. The future may be less certain but you can still plan and build forecasts with your best available information. Also monitor key KPIs like Cash Reserves in Days or Working Capital – it all gives you a picture of your position. See how Leisure Networks has successfully transitioned into an NDIS Service provider and continues to grow with Calxa. We’ve built our app to help reduce the administrative burden on NDIS Providers. We understand your needs and saving time is one of them. Our automated process makes it easier for you to deliver accurate reports and make informed decisions. Report the job detail or summarise it to an organisational level. Or, consolidate some programs to show combined values. Show programs across or down the page. 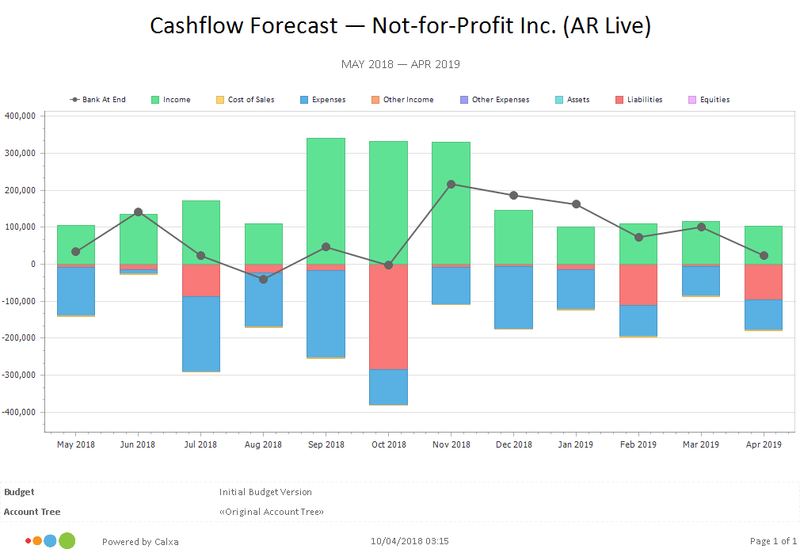 Easily run regular cashflow forecasts. Once you set up the financial settings, simply attach the forecast to your report bundle. Lock 12 months ahead or many years. Add and remove columns, delete footers, change titles, insert logos, add images – and that’s just the start. Make the reports look the way you and your board wants them. Unit Costing is important to figuring out your pricing. This is never been more critical than for NDIS Providers. 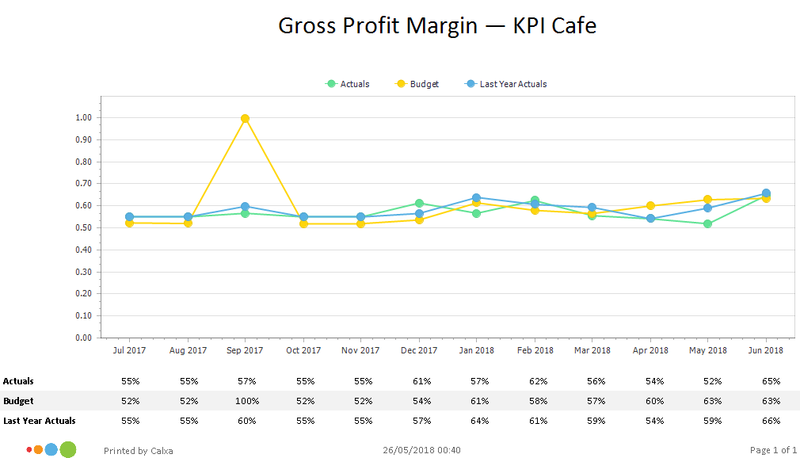 Use the KPI calculator to know if your prices are turning the right margins. For NDIS Providers that use MYOB AR Live, select time-billing invoices and submit them via the NDIA Portal Bulk Upload. It’s quick to claim your money back and manage cashflow. Changing business models and transforming your organisation is no easy task. Calxa will do some of the grunt work to help you run a sustainable organisation. We designed and built this app for the end-user. Our top criteria: ‘It must be Easy’. 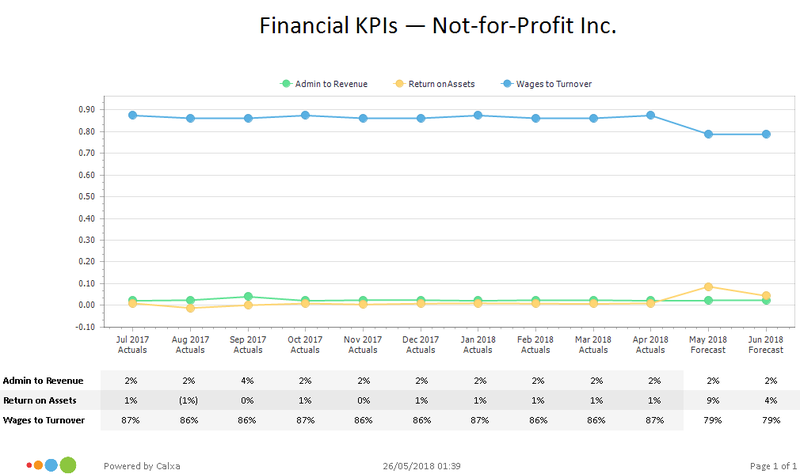 The Charts below show sample reports for Not for profit and NDIS Service providers. 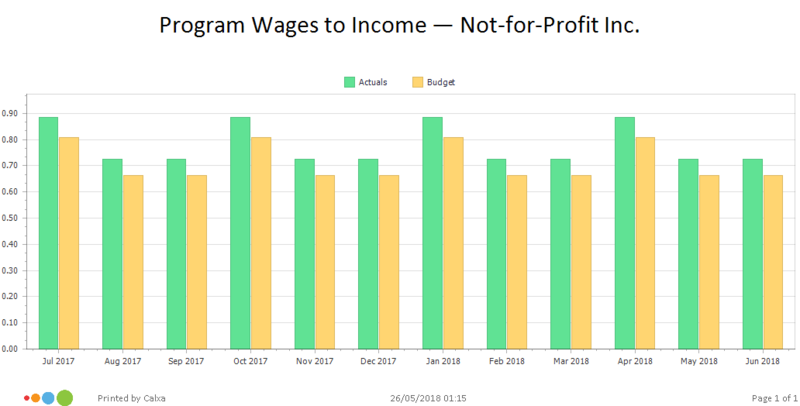 The reports include Program wages to income chart, Gross profit Margin – KPI Cafe chart, Financial KPIs chart, bank movement waterfall chart, and cash flow forecast chart. Use our ‘Unit Costing for Dummies’ to better understand your activity pricing.